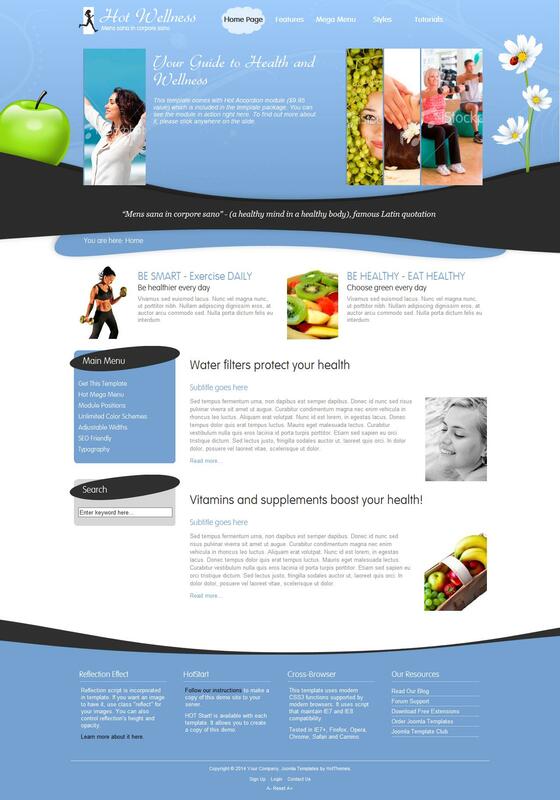 HOT Wellness - excellent pattern on the theme of health and beauty of the design studio HotJoomla. Elegant design pattern presented in four color themes combined with additional extensions provides a site for fitness centers, massage parlors, beauty salons, health centers and portals about healthy food and proper lifestyle. Using CSS3 technology gives fast loading pattern in all browsers and flexible modular layout makes it easy to plan the location of units on the site.